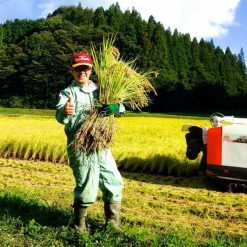 Crafted exclusively from “Koshihikari Amore” brown rice that has been raised in Ishikawa prefecture using organic methods without chemical pesticides or fertilizers. It is characterized by a gentle sweetness and creamy texture. 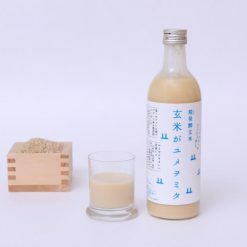 This traditional healthy fermented beverage can be enjoyed by all ages. 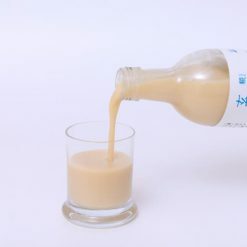 This amazake is rich in probiotics and enzymes that will help you maintain balanced flora in your stomach and aid in digestion. It contains high amounts of antioxidants, essential amino acids and vitamin B. Dream of Brown Rice is made only from organic brown rice, making it a healthy drink anyone on a gluten-free or vegetarian diet can enjoy. The digestive and nutritional value makes it a good choice for children as well. 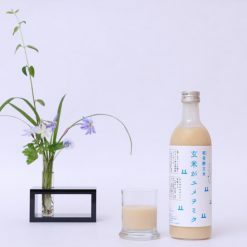 It comes in a stylish box of two or three 490ml bottles, making it a great gift for family and friends that wants to try a sip of this healthy traditional Japanese drink. Expiration date for a sealed bottle is 365 days after packaging. An opened bottle should be stored in the refrigerator.